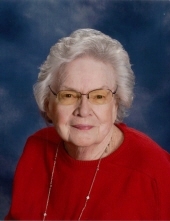 Norma Sue Millard, 84, of Fulton was called to her Heavenly home on Tuesday, January 29, 2019. She was born in Fulton on April 2, 1934, the daughter of the late Marvin Kemp and the late Marie (Love) Kemp. Norma was married to Donald Gene Millard who preceded her in death. Norma worked in food service for William Woods University. Her hobbies included arts and crafts, playing cards, and collecting angels. A woman of great faith, Norma was a member of First Christian Church where she was active with Kingdom Kids. Those remaining to cherish her memory include sons, Mike Millard (Diane) of Cincinnati, Oh., and Brent Millard (Marsha) of Fulton; nine grandchildren; eight great-grandchildren; and several nieces and nephews. In addition to her parents and husband, Norma was preceded in death by daughter, Karen Doerhoff; and brother, David Kemp. Funeral services will be held at 12:00 p.m. on Saturday, February 2, 2019 at Maupin Funeral Home in Fulton with Reverend Mindy Kiepe officiating. The family will receive friends from 10:00 a.m. until the time of service at the funeral home. Interment will be in Callaway Memorial Gardens. Memorial donations are suggested to Kingdom Kids, c/o Maupin Funeral Home, 301 Douglas Boulevard, Fulton, MO 65251. To send flowers or a remembrance gift to the family of Norma Sue Millard, please visit our Tribute Store. "Email Address" would like to share the life celebration of Norma Sue Millard. Click on the "link" to go to share a favorite memory or leave a condolence message for the family.